The Common Language for Psychotherapy (CLP) project aims to develop a general lex­icon of psychotherapy procedures. Having no common language can confuse clinicians and patients, hamper communication, and impede research. It is often hard to know ex­actly what therapists do just from the names of their procedures and their orientation. There may be no clear connection between what therapists do and the reasons given for doing it. Different terms are sometimes used to describe the same or very similar proced­ures and the same term for different procedures. The lack of a common language also impedes research. Though there is ample evidence that certain problems improve with particular psychotherapy 'packages', those packages may have a variety of names for varying combinations of procedures. This obscures which procedure/s within the packages produce the improvement. The common lack of clarity about what therapists do prompted the European and the North American Associations of Behavioural and Cognitive Therapy to set up a Task Force to work towards a common lan­guage for psychotherapy (CLP) procedures that is internationally accepted. Many more psychotherapy associations representing diverse approaches have added their sponsor­ship. The emergence of shared plain terms can reduce confusion and speed the evolution of psychotherapy into a science. Progress towards a common language to describe psy­chotherapy procedures is seen in the expanding website. In this CLP website therapists portray how they use particular procedures in everyday language shorn of theory, and clarify what they do with brief real case illustrations. Therap­ists submit website entries describing a procedure in response to personal or CLP-website invitations. Their entry/ies describe operationally what they do with clients, regardless of any background theory. Each entry submitted is edited interactively between the Task Force and the Author to ensure it follows the common CLP template. Each entry gives an empirical fly-on-the-wall view of what the therapist does to apply a procedure, including a practical case illustration, and avoids theory as far as possible. A few years after the publication of the first volume Common Language for Psychotherapy Procedures: the first 80 (2010), the number of entries has grown and even more psychotherapy approaches are now described. 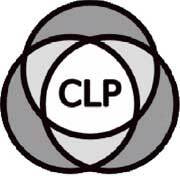 CLP project has been presented in several In­ternational Conferences. The electronic version of the first volume (published online in 2014) has been downloaded so far (2018) more than 7500 times. The professional asso­ciations of psychotherapy which support the CLP Project are still the initial 12. The number of Authors has risen to 115 and they come from 16 countries worldwide: Australia, Brazil, Canada, Finland, France, Germany, Greece, Israel, Italy, Japan, Netherlands, Norway, Sweden, Switzerland, UK and USA. The current volume Common Language for Psychotherapy Procedures: the first 101 is the fruit of the work of the CLP Task Force and the authors of the entries. We expect that the volume – in line with the goals of the project – will help clarify the discipline of psychotherapy, and that other col­leagues will be attracted to propose definitions of psychotherapy procedures not yet published in the CLP website. In this way, the scientific status of psychotherapy as discipline will be strengthened and a wider audience will be able to understand the operational functioning of psychotherapies. All therapists are invited to join this ongoing attempt to describe most psychotherapy pro­cedures in a way which anyone can understand. To further dissemination, we decided to release the volume in the ebook format, freely downloadable from the Publisher website: click here to download it.